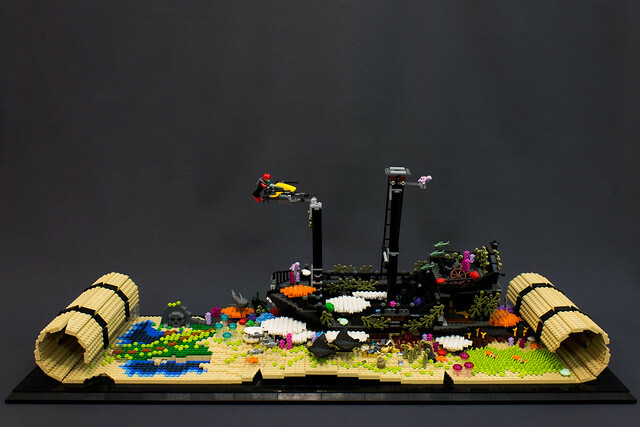 This is an interesting MOC by builder p e d. We're all familiar with treasure maps, but this one is more like my imagination sees them. In stunning relief the details leap off the page and become a vivid underwater scene featuring a ship wreck, seabed teeming with life and a treasure hunter. I don't know what riches remain to be found in this ship, but I think this MOC is a treasure in itself.